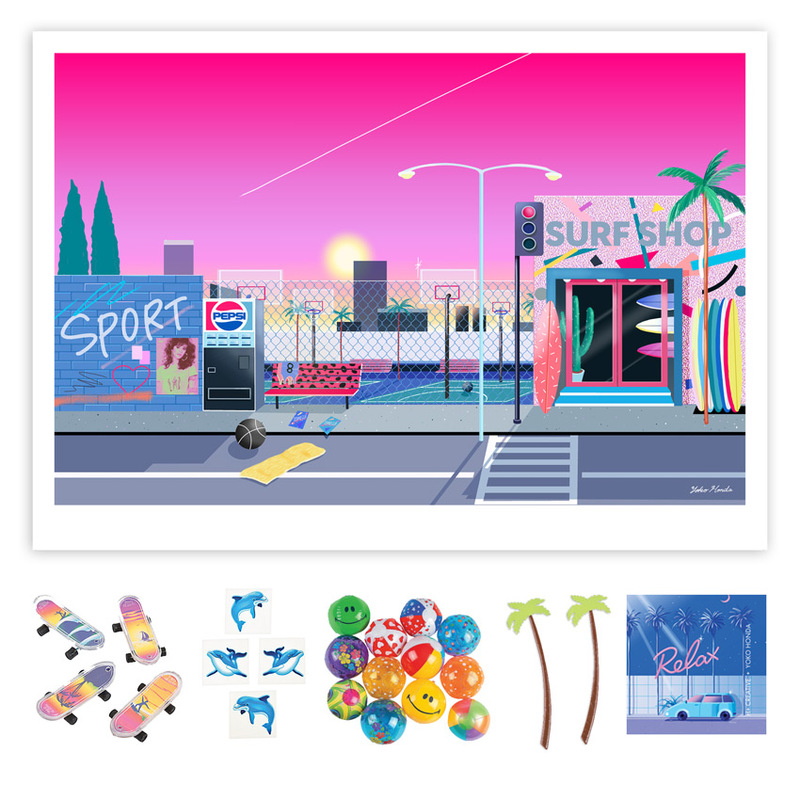 TYPE Archival Pigment Print on 290gsm Moab Rag Fine Art Paper + Bonus Sticker, Keychain, Beach Ball + More! 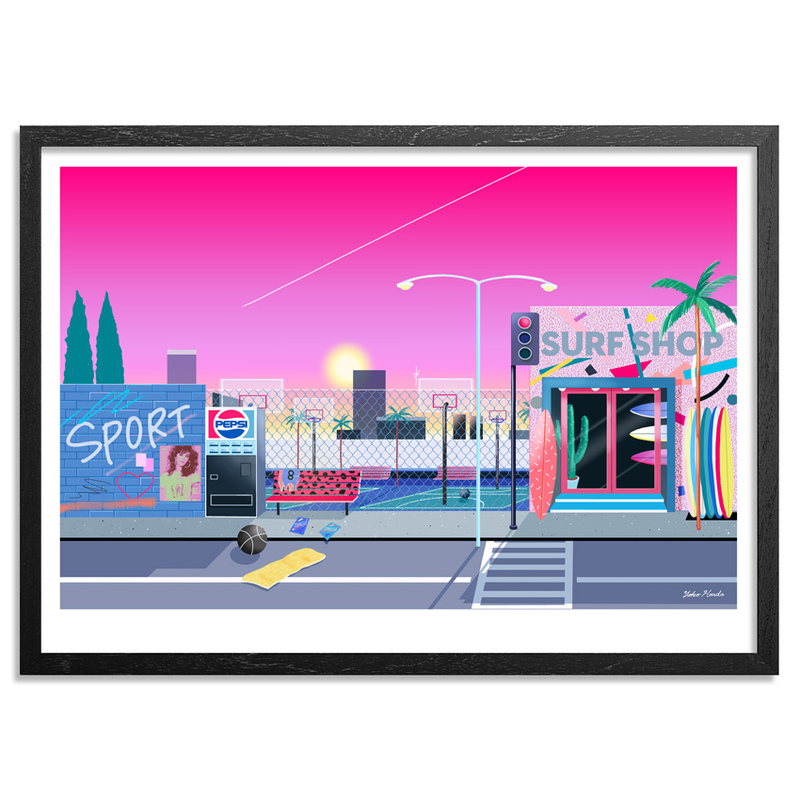 This RUN comes signed, numbered and with a Certificate of Authenticity from Yoko Honda 1xRUN. 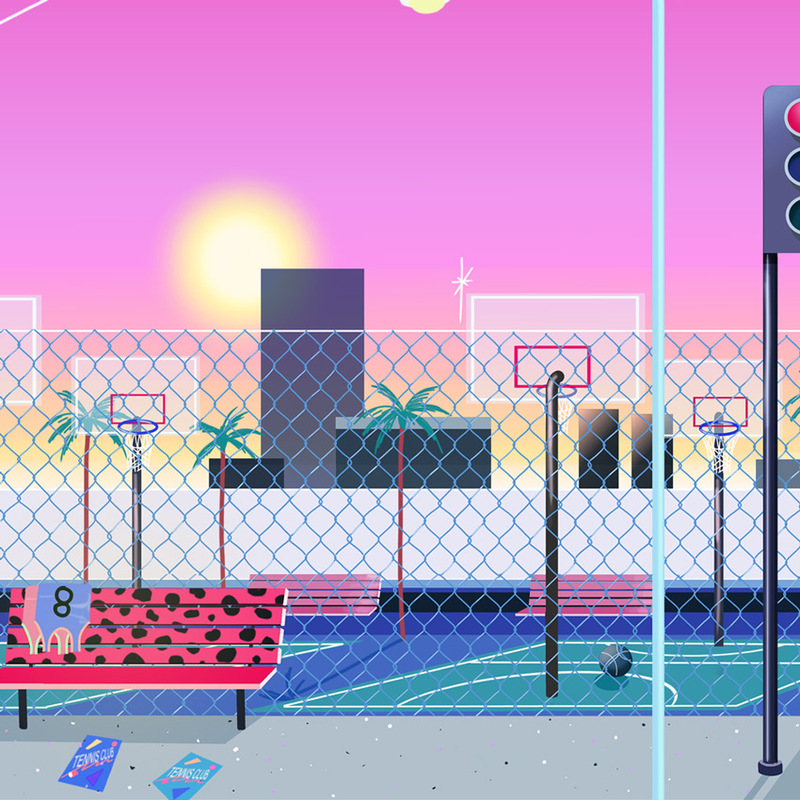 Yoko Honda is a Japanese illustrator and graphic designer from Tokyo, Japan. 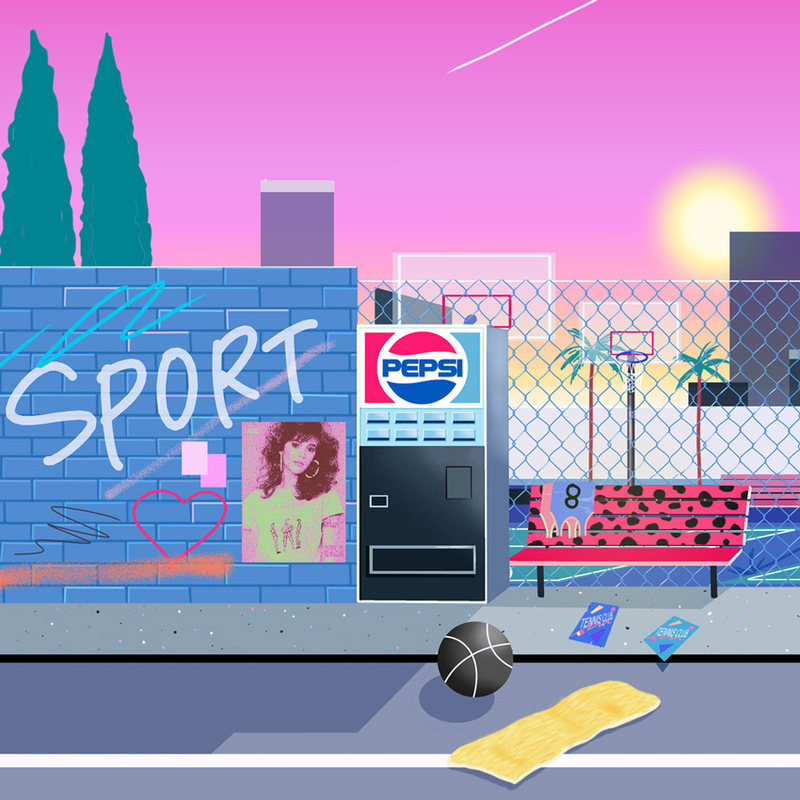 Her work is an unmistakable throwback to the decade of excess—exploding with 80s colors, themes, and landscapes straight out of Miami Vice. Previous commercial clients for Yoko have included Topshop, Superdelux, Brixton, Pameo Pose, Diesel, Sugoi Books, Culture, Mark Greene, Lenovo, Sosh, Sandra Paris, Lazy Oaf, Airbnb, Le Galaxy, LA Sweat, Neo Legend, Kylie Minogue and Belly Kids. 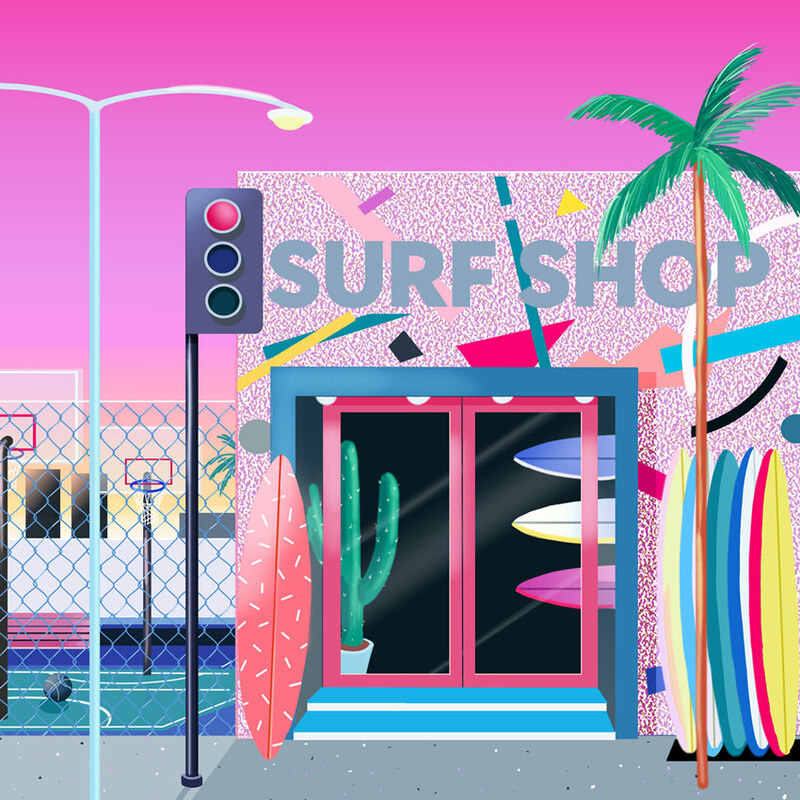 Follow Yoko Honda on Instagram @yokopium.